An op-ed by the mayor of Belfast, Maine is making waves with the town's city councilors. In a small coastal town in Maine, a mayor is making waves for an op-ed that calls out city councilors. Samantha Paradis, 27, is the youngest person to serve as mayor in the city of Belfast. 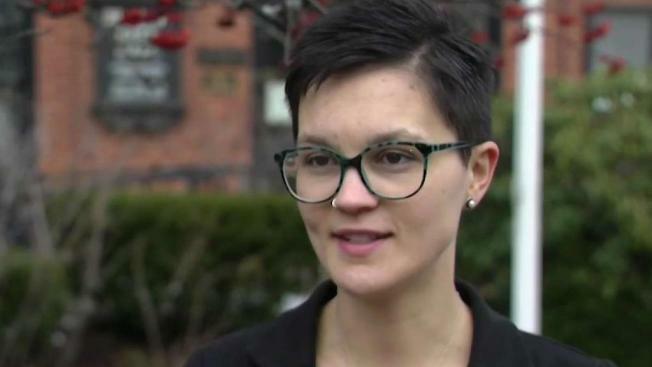 She identifies as queer and wrote in a column published in the Village Soup newspaper last week that she has “encountered sexism, ageism, and bigotry” in her role as mayor. Paradis also wrote that she felt city councilors preferred her to be “seen and not heard.” She said she wrote the op-ed hoping her experience wouldn’t happen to someone else. Council members called an emergency meeting Tuesday night, and in a unanimous vote, decided to strip her of her authority to speak on their behalf. They also voted to pull out of a coalition of Maine mayors that works on economic issues. “For myself, it was a vote of no confidence,” said Councilor Mike Hurley. He and the other councilors reject the suggestion that they are bigoted. Hurley said their issue with the mayor comes down to how she runs council meetings. “Dominating the conversation without calling on anyone else – that’s a real bone in our throat,” he said. Hurley said it’s unfortunate that personal issues have become so public. “I’ve been in local politics for 40 years and we’ve never had an event like this,” he said. Paradis said she hopes everyone can move on and continue to do the work of the city together. She said this experience has not deterred her from running for public office, and hopes it does not discourage anyone else. “I hope that young women and girls are inspired to run for office,” she said.